What is biting me? Can dust mites bite? What is biting me? It’s a question I’ve been asked a lot over the past couple of years so I thought I’d blog a little about it. When my clients ask me this question they often follow up their question by showing me a pimply rash that looks very much like bites. The truth of the matter is that the rash they have is a reaction to something they have ingested or inhaled, it’s not a bite, so what is biting me? Dust mites are arachnids and do cause havoc to those who have dust mite allergies but it is not actually the dust mite itself that causes the allergic reaction. It is actually the protein in their droppings that can cause irritation and allergic reaction. Dead skin flakes are the dust mites food of choice and they have an endless supply of food available to them within your mattress. they are far too small to break human skin, so… what is biting me? Dust mites are far too small to be the culprit for any biting but their excrement is the real reason for an allergic reaction. If you are being bitten in bed there is a good chance that you might actually have bed bugs which are quite a bit bigger than dust mites. 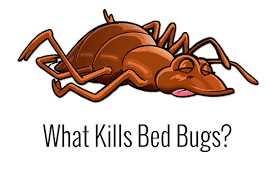 Bed bugs are quite visible and leave tell-tale blood trails behind on your body and your mattress. So, what is biting me? If it’s not a rash then it just might be a bed bug. However, in Melbourne most cases of bed bug infestations are due to the bugs hitch hiking on the luggage of overseas travellers. So while some hotels in Melbourne need the services of an exterminator from time to time, most cases of itching thought to be caused by biting are actually a reaction caused by coming into contact with contaminants that you may encounter in your outside environment. A trip to your general practitioner for a scratch test (skin allergy test) will rule out most allergens leaving you with the true culprit.